History, wine, picnics, hot air balloons—Cappadocia is a festive town that celebrates life. 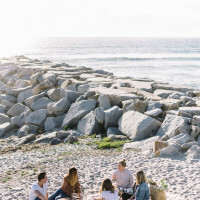 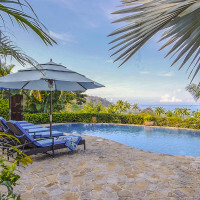 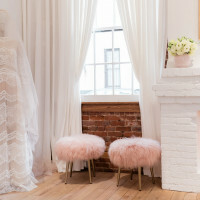 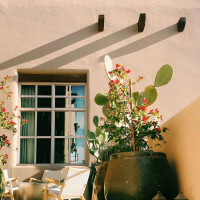 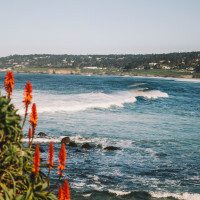 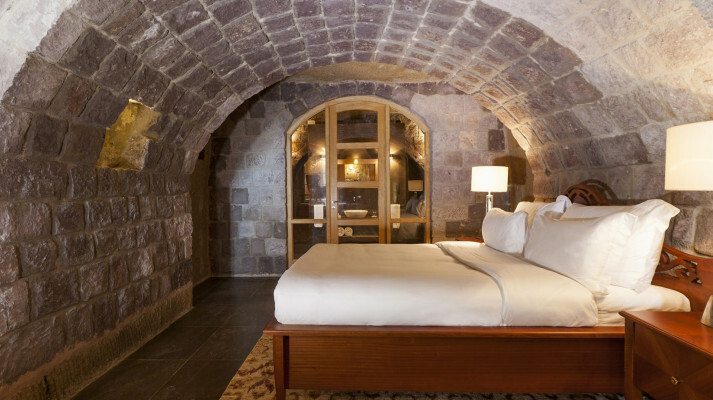 To truly embrace the city, stay in this luxurious fortress that offers color, style, and old-world stone walls that provides a balance of stylish comfort and entrancing lavishness. 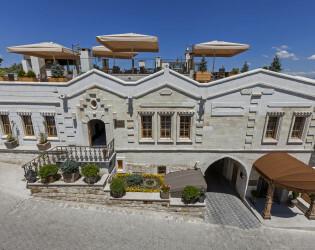 The House Hotel Cappadocia is located in central Cappadocia in the town of Ortahisar, very near Göreme and Ürgüp, it is comparatively untouched by tourism. 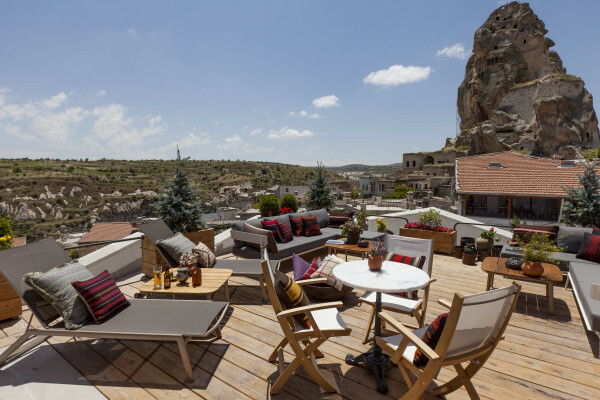 Ortahisar The House Hotel Cappadocia is set off the main square, overlooking the ‘hisar’ and İbrahim Paşa Valley with its winding colonnade of fairy chimneys. 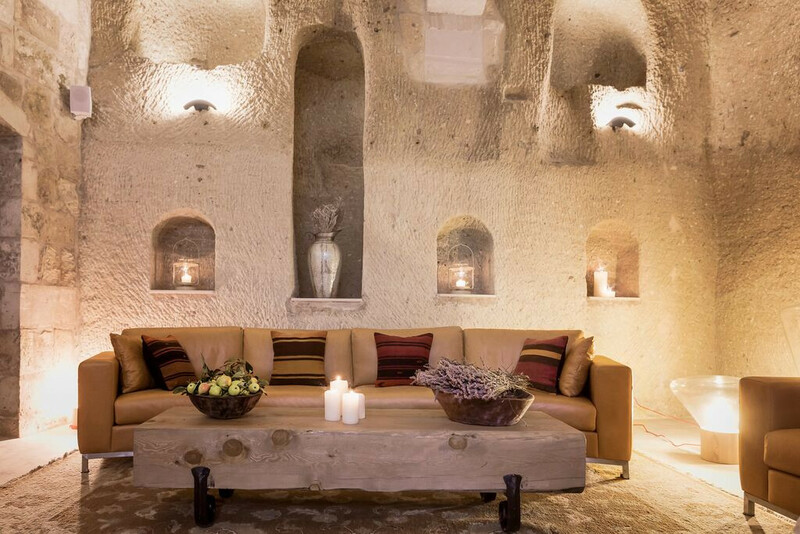 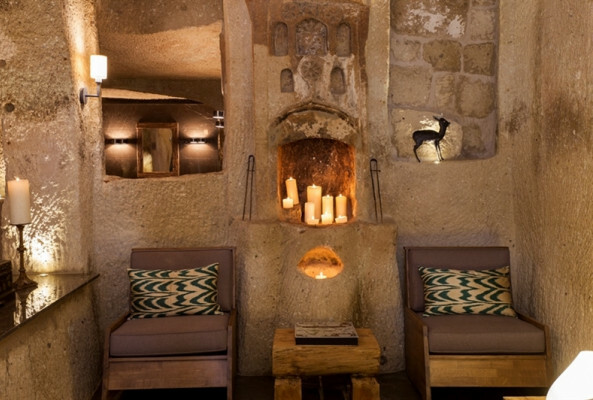 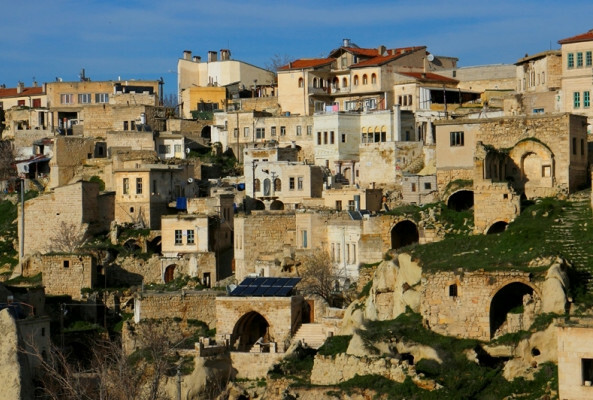 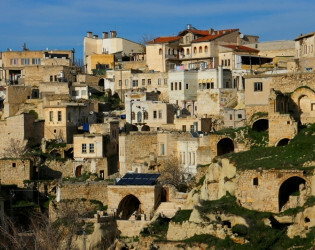 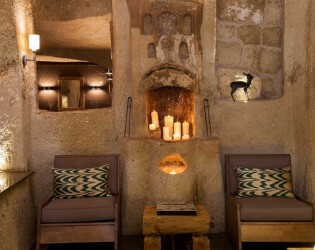 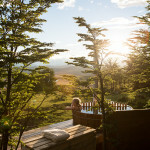 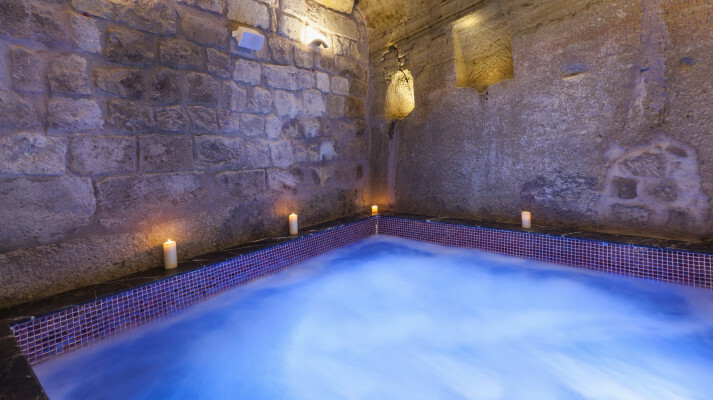 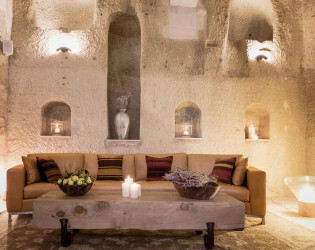 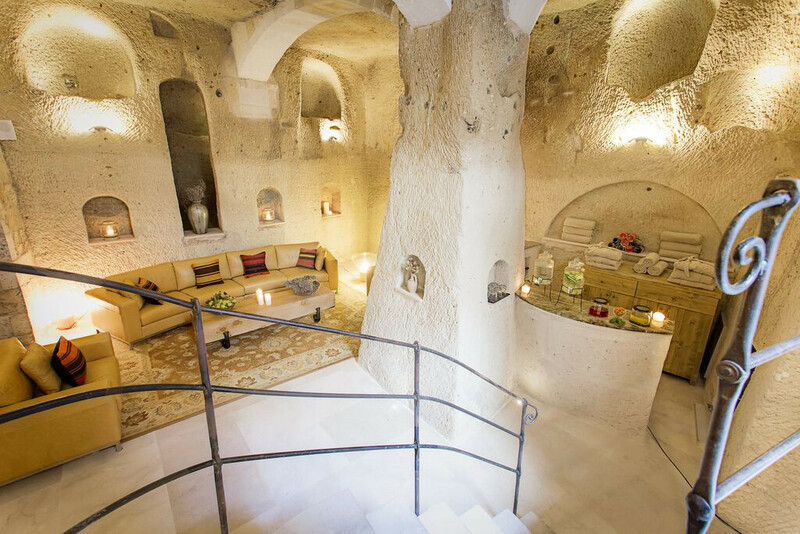 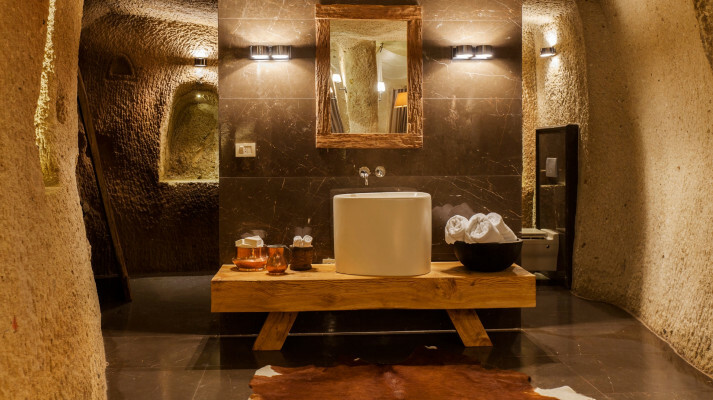 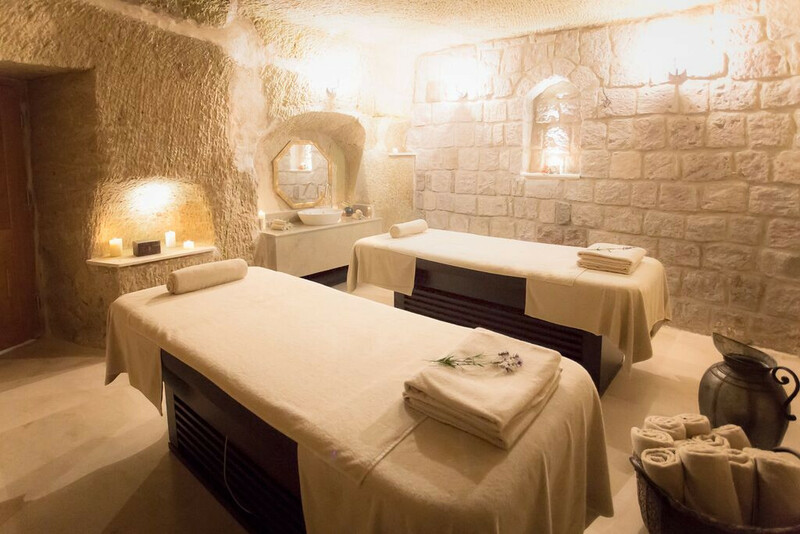 The House Hotel Cappadocia is set in a complex of ancient caves and stone houses. 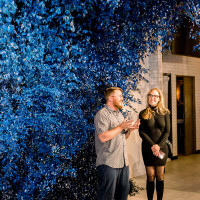 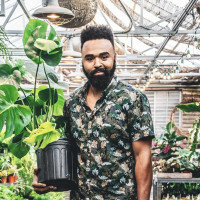 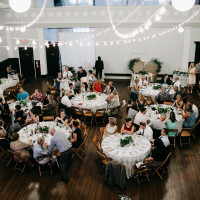 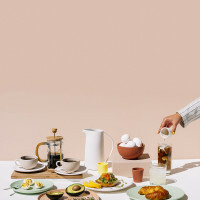 Guests will be encouraged to engage with and become part of the community, with its coffeehouses, barbershops and museum of local history. 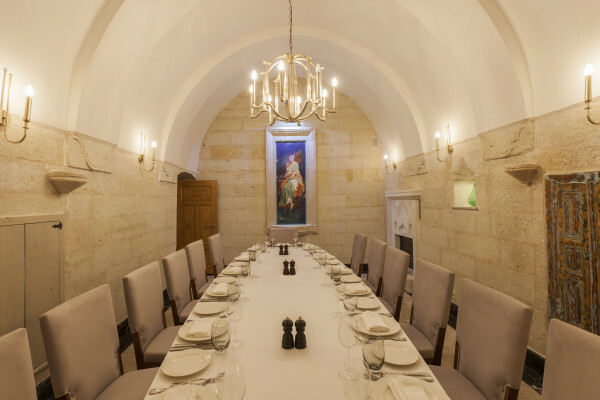 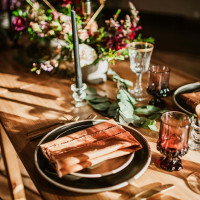 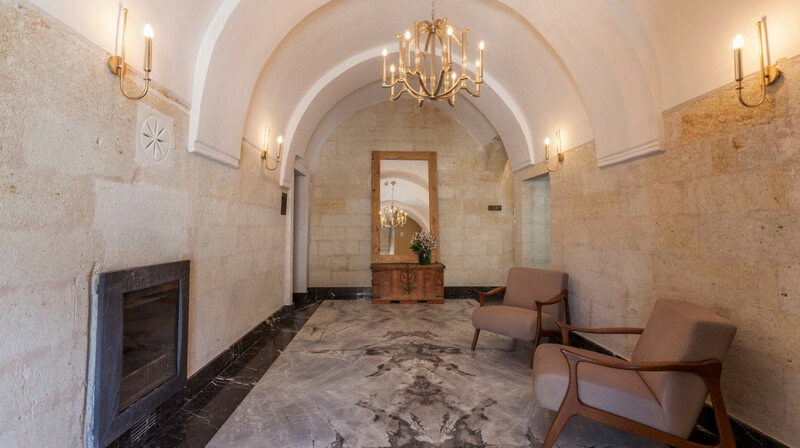 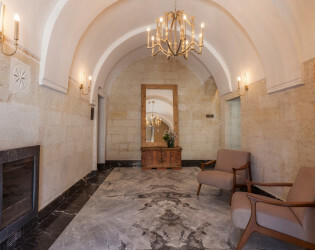 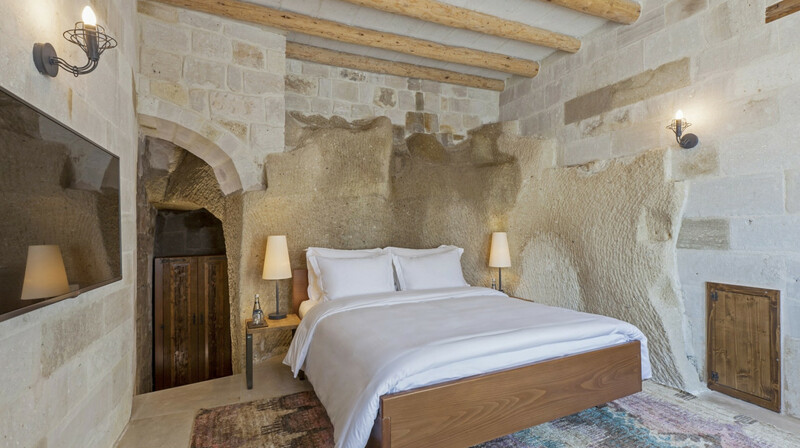 Designed by architect Şekibe Aslan, the interior retains original touches such as fireplaces, storage alcoves and even a buried wine press and fermentation vat. 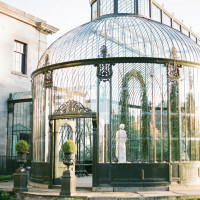 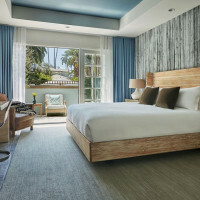 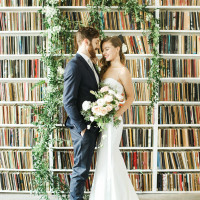 Every room is unique, with its design and interior inspired by its physical properties. 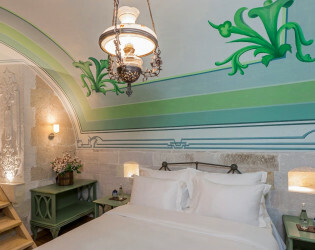 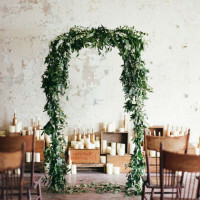 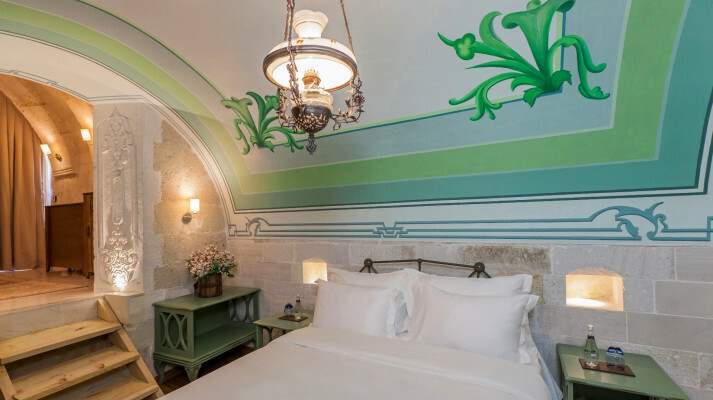 Many rooms feature frescoes and crown moldings evoking Cappadocia’s heritage. 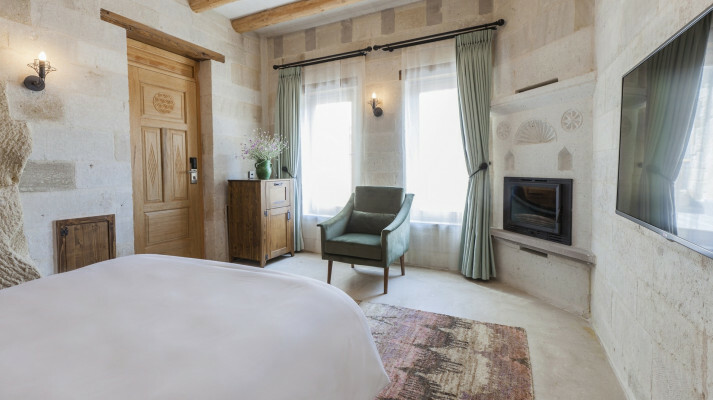 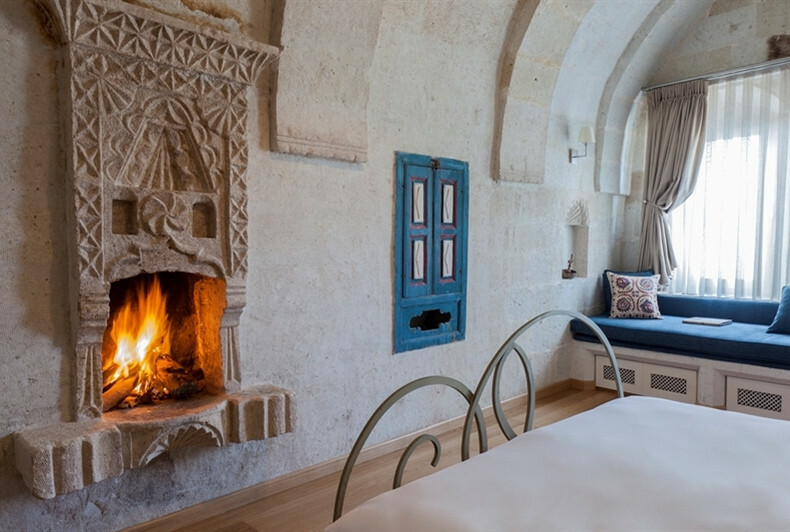 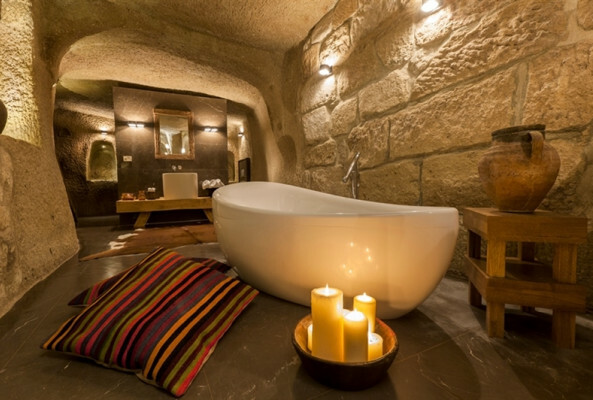 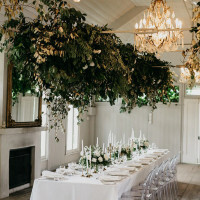 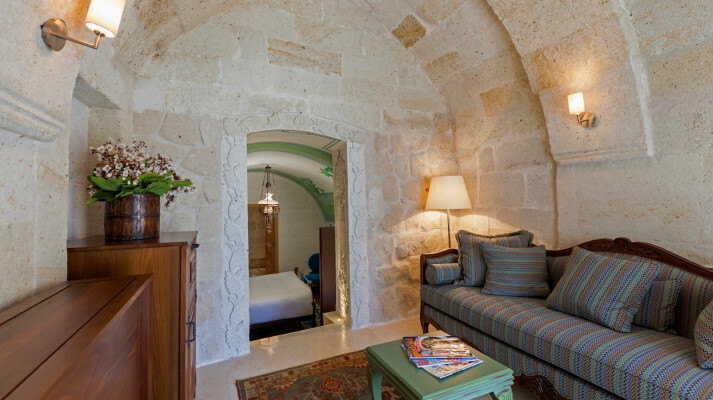 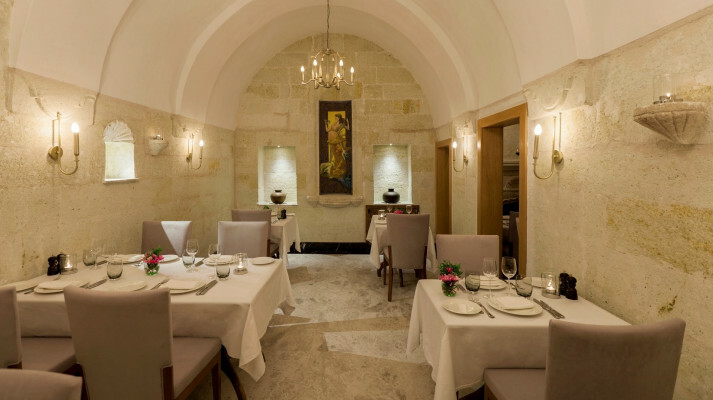 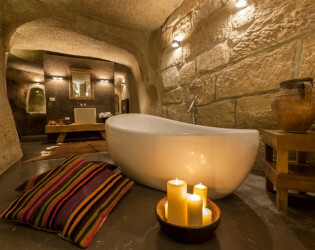 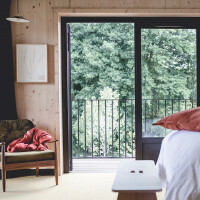 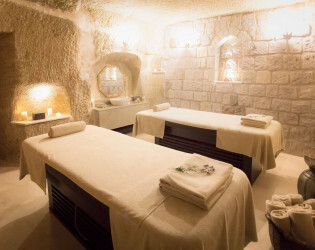 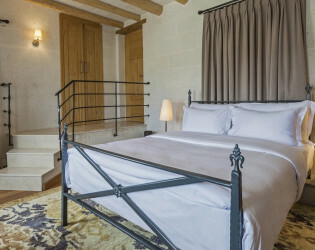 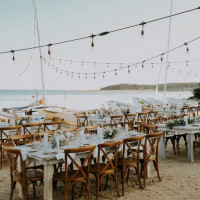 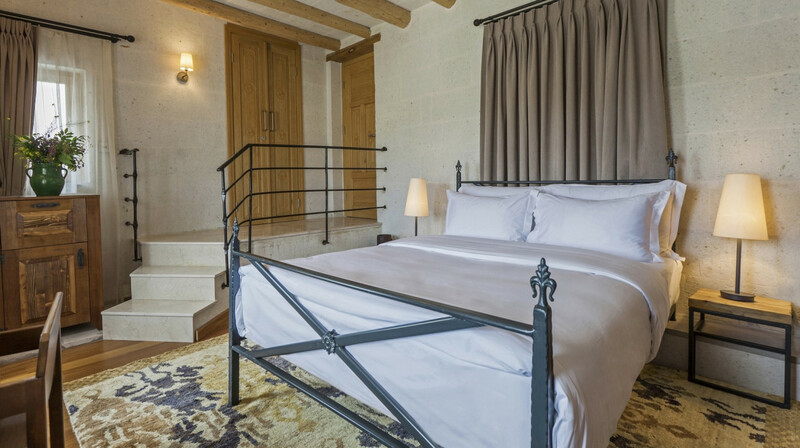 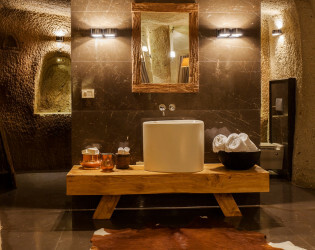 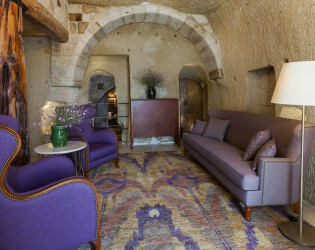 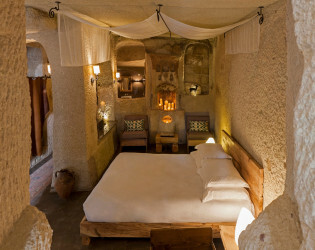 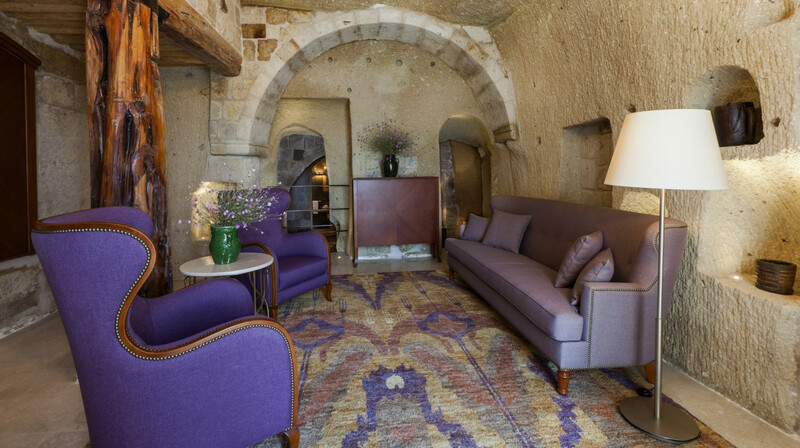 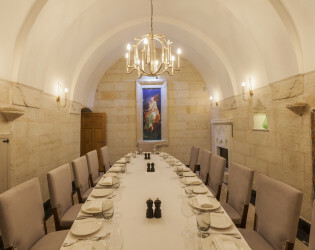 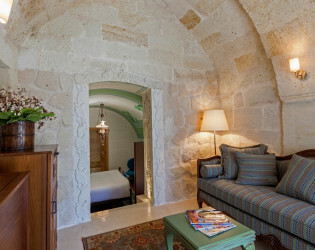 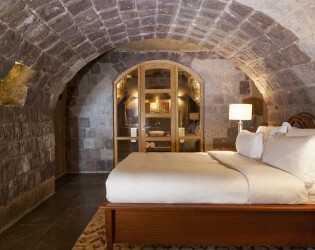 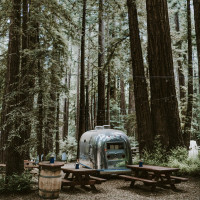 Designed by architect Şekibe Aslan, the 29 rooms incorporate both ancient cave dwellings and restored houses, retaining original touches such as fireplaces, storage alcoves and even a buried wine press and fermentation vat. 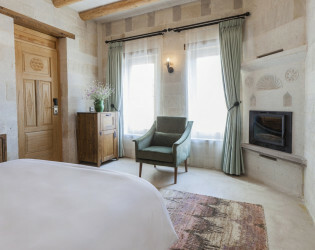 Every room is unique, with its design and interior inspired by its physical properties. 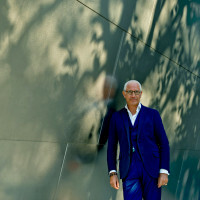 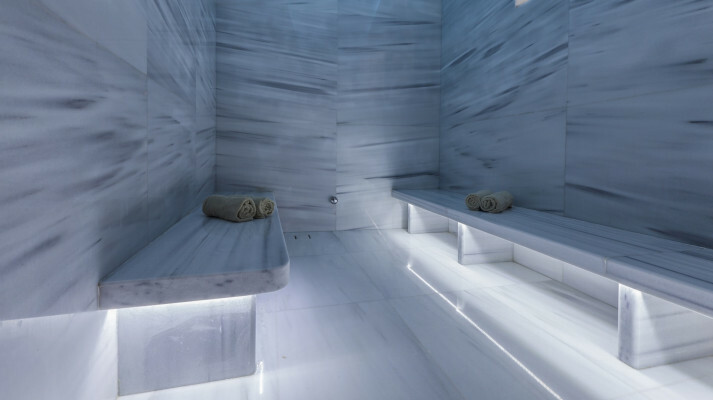 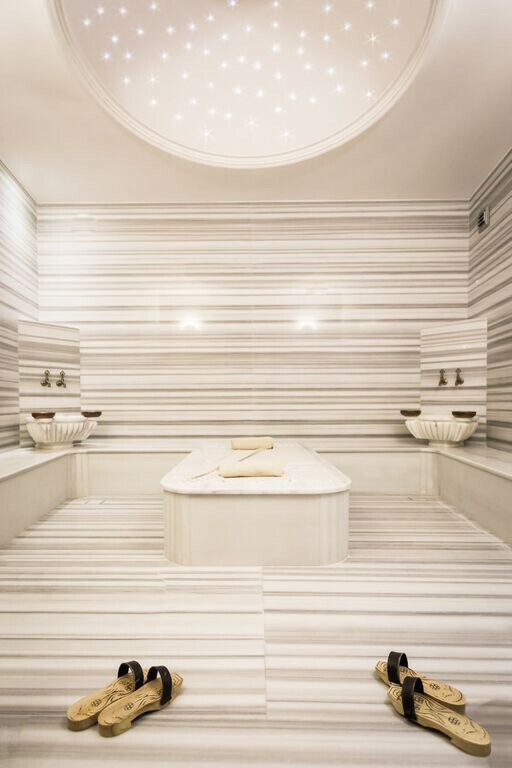 On the lower levels, there will be a 350m2 spa with a Turkish Hamam, sauna, steam rooms and 4 treatment rooms. 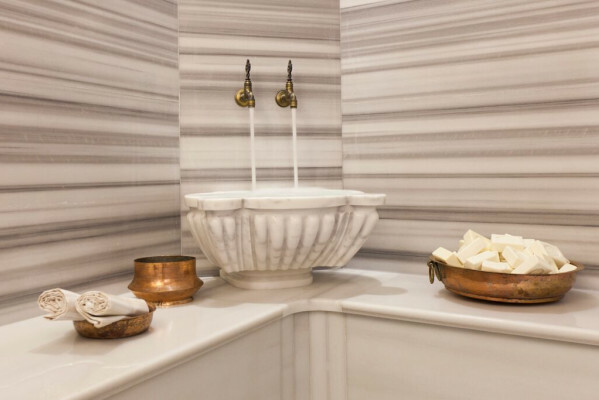 The spa will feature Lokum Istanbul ‘Hamam Rituals’ bath products made exclusively for The House Hotel Collection. 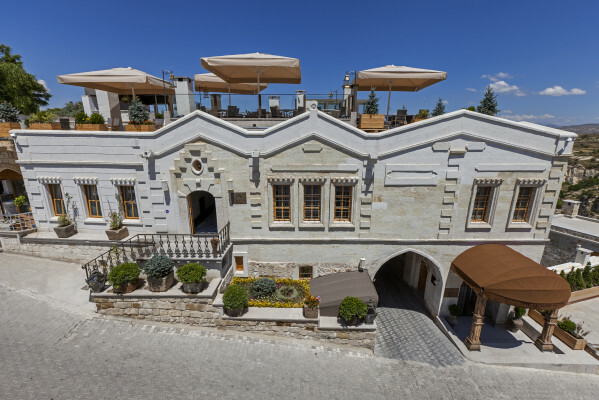 Overlooking dramatic views of Erciyes Mountain, Fresko Lokanta features indoor seating for 65 persons and a large terrace seating 100 persons. 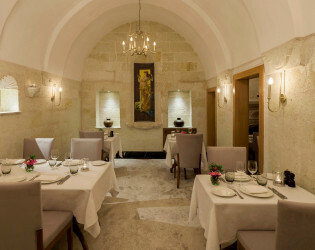 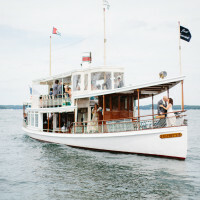 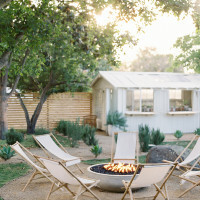 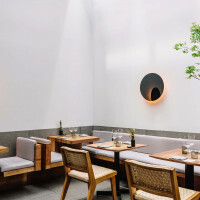 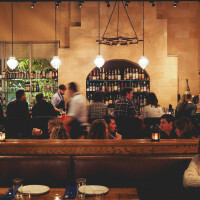 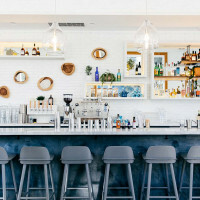 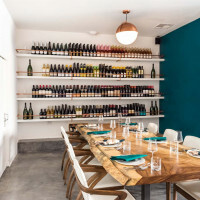 The restaurant serves eclectic, contemporary Turkish cuisine and boasts a stone oven. 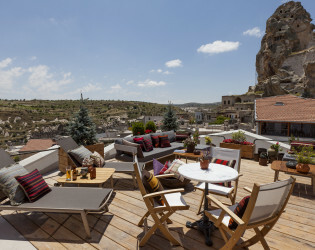 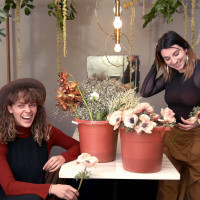 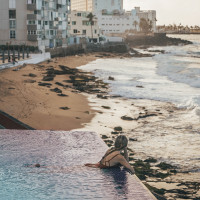 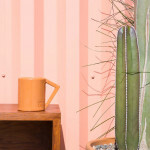 Fresko Terrace is the best place to sit and the range of our cocktails with an extra twist of lime is to die for! 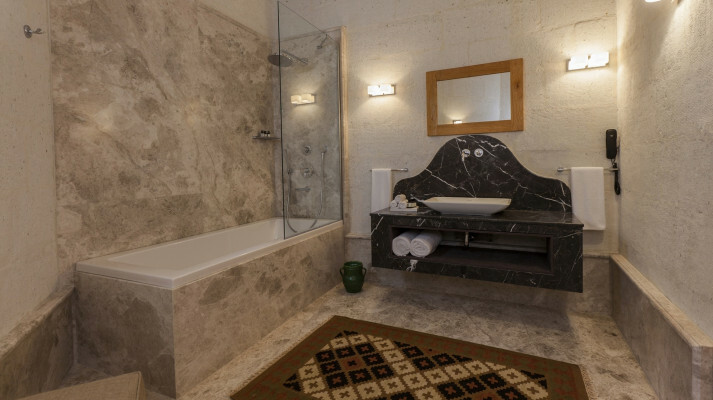 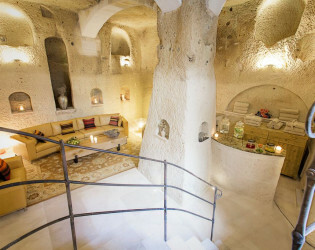 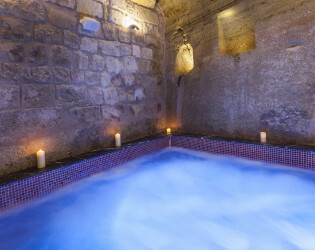 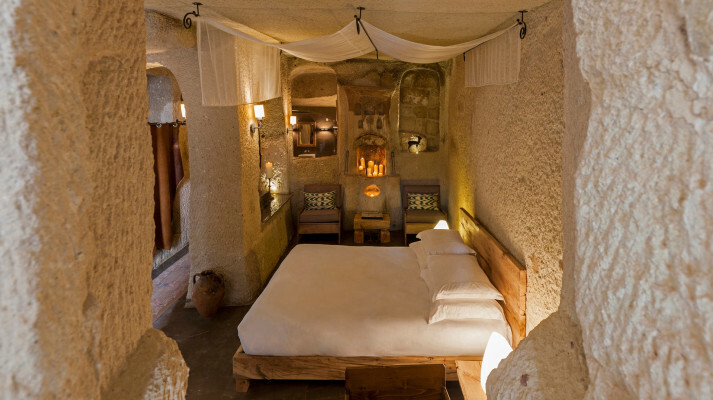 The House Hotel Cappadocia is set in a complex of ancient caves and stone houses. 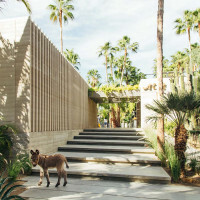 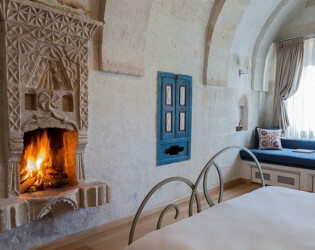 Every room is unique, with its design and interior inspired by its physical properties. 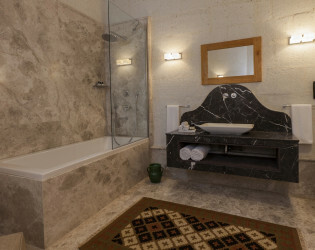 Relax in the Chapelle King Suite's bathtub. 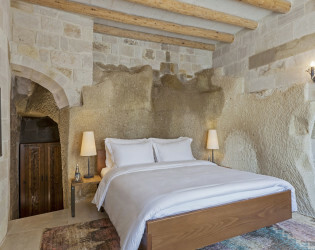 Deluxe Room with stone walls.